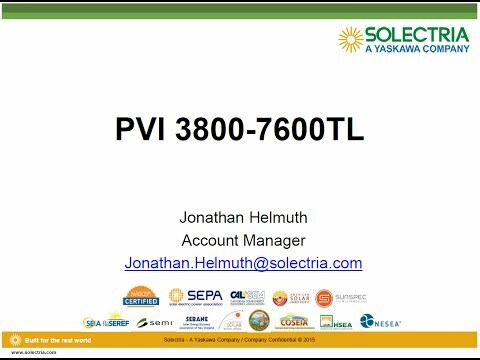 Solectria 1-Phase Transformerless string inverter requires an input voltage of 120 - 550-Volt DC and produces output voltage of 208/240-Volt AC. It has current rating of 32-Amps and power rating of 6656/7600-Watts. Inverter providing superior efficiency of 98.3%, has aluminum housing and NEMA 4 enclosure for superior electrical and mechanical protection. It measures 15.8-Inch x 26.8-Inch x 8.5-Inch. 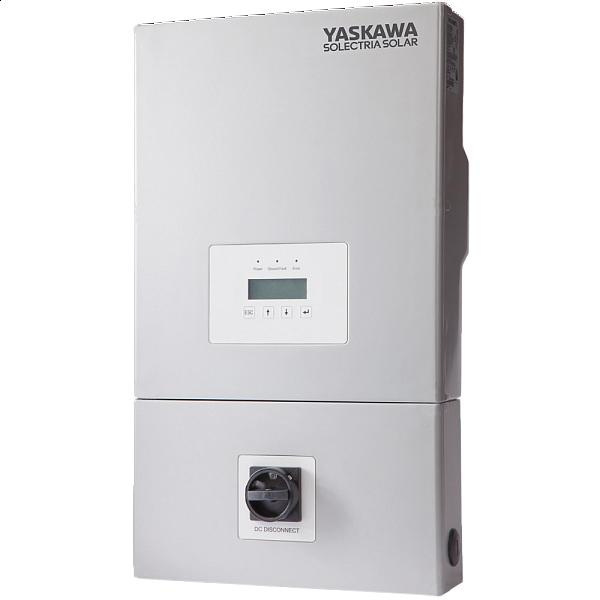 This inverter has RS-485 connection to ensure superior communication connectivity. It employs innovative passive design for efficient cooling. This lightweight inverter comes with DC connect DC arc fault detection and interrupt. It withstands temperature of -25 to 50 deg C. Inverter is UL/ETL listed, CSA certified and meets IEEE1547 standards.